Here at The WILD Foundation, we realize that it is not just those large, charismatic animals that inspire conservation – it is often the small, typically unnoticed and vastly under-appreciated ones that inspire us the most….and that are an indispensible part of the ecosystem! Photo 4: Scarabaeus galenus (Westwood). Photo 5: Allogymnopleurus thalassinum (Klug) individuals fighting over a mammal dung ball. 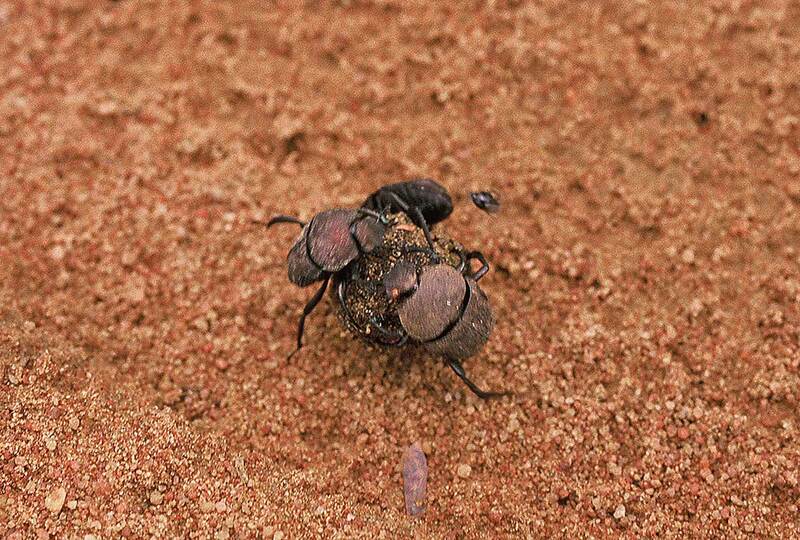 and the tiny little Sisyphus costatus (Thunberg), standing tall on its elongated hind legs while pushing dung with its forward pairs of legs (opposite of what I’ve seen in any other dung beetle), all made their sudden appearance. I spent some time watching one S. galenus individual excavating a burrow for the prized piece of poop it had snatched (Photo 6). 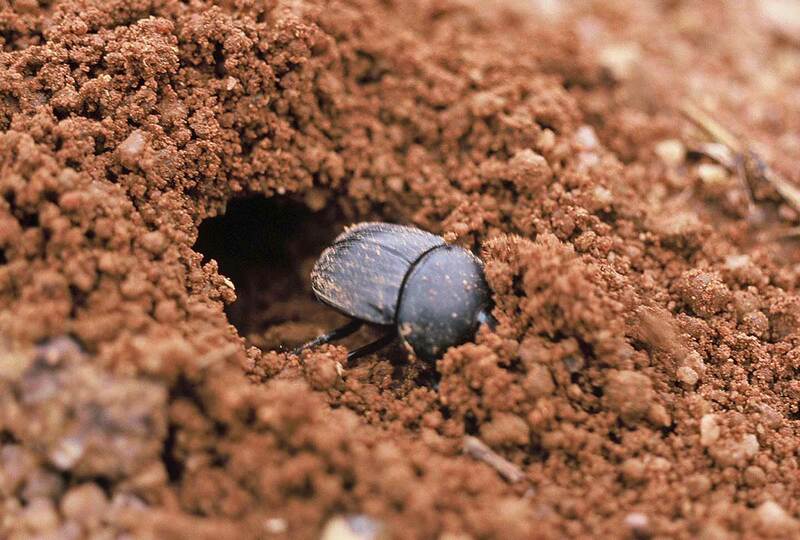 Photo 6: Scarabaeus galenus (Westwood) excavating a burrow. The most impressive dunger that I saw, however, was the enormous, flattened Pachylomera femoralis Kirby (Photo 7). Photo 7: Pachylomera femorata Kirby. Looking like flying Tonka trucks and sounding like diesel engines from real trucks, their low-pitched, rumbling buzz filled the air as they searched among the freshly moistened turds. So loud was the noise caused by the beating of their wings that several times I ducked thinking one was about to collide with me. This sudden dunger super-diversity continued into the night, as Anachalcos convexus Boheman, Catharsius sp., Copris elphenor Klug, Metacatharsius sp., Pedaria sp., Scarabaeus goryi (Laporte), three species of Onitis, Caccobius ferrugineus (Fåhraeus), Digitonthophagus gazella (Fabricius), and nearly a dozen species of Onthophagus flew to our ultraviolet light-illuminated sheet. This entry was posted in Coleoptera, Scarabaeidae and tagged beetles, behavior, conservation, dung beetles, entomology, insects, nature, scarabs, science. Bookmark the permalink. 16 Responses to I Brake for Dung Beetles! These have to be the most interesting beetle to watch, and I never fail to spend time with them when I am in the bush. Yes, they are fun! There is an amusing irony in their attractive looks, comedic behavior and repulsive food choice. I break for Beetles in the Bush! Probably the six-spotted tiger beetle (Cicindela sexguttata) – did it look like the first one in this post? These are common on woodland paths during spring but, as you know, are tough to approach. Bugs are out – yeah! Smashing post – and a great hit with the Royal Alberta Museum Bug Room People today. Let’s hear it for the charismatic mesofauna (and their mites). Thank you, Dave. That’s a great looking Bug Room you’ve got up there – I like all the free-standing terraria rather than being built into the walls. Thoroughly enjoyable. 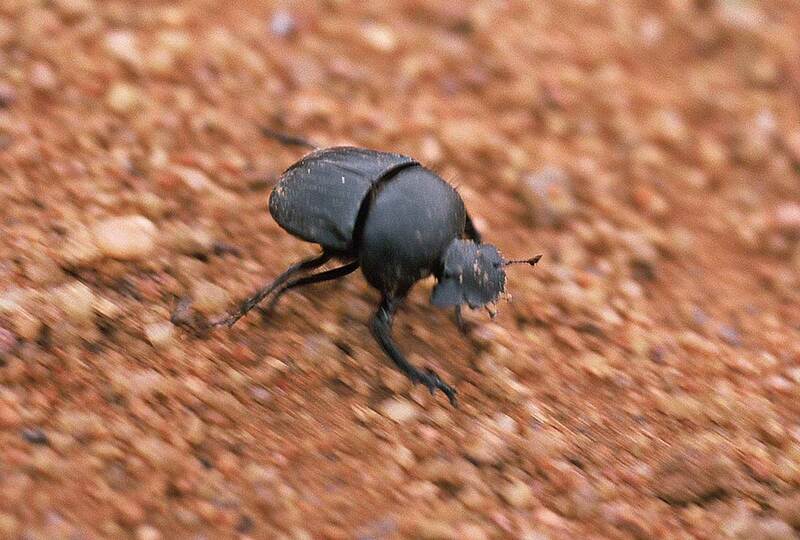 I’ve never seen a dramatization of the Myth of Sisyphus performed by dung beetles before. Thanks so much for this informative post and for linking to WILD — we hope that you enjoyed the humorous video of these tough working beetles! Hi Emily – my pleasure. Thank you for calling attention to the conservation needs of all wildlife – even the lowly dung beetle – and not just the charismatic megafauna. Ted: This post reminds me of a story told me by an environmental educator friend of mine, the only adult male with a group of 10 and 11-year-old kids on an overnight campout. It seems one of the boys had some “issues”, and not unlikely his parents sent him to camp for a short vacation from his special needs. As it turns out, even though there was not visible evidence, the staff began to suspect the young fellow might have, to put it indelicately, pooped his pants. So my friend got the job of taking him aside to inquire. No sooner had the two separated themselves from the group, then around comes a Phaneus dung beetle, it flies around my friend and the boy a couple of times, then it makes a bee(-tle) line for the boy’s rear end! These critters know their business well. The rest of the story, well, I told you the good part. Yesterday, one of the other staff who was also working on the storied campout, just happened, 15+ years later, to run into the young man, now grown and in a suit and tie and working in the business world. She reports that he seemed “basically normal”. 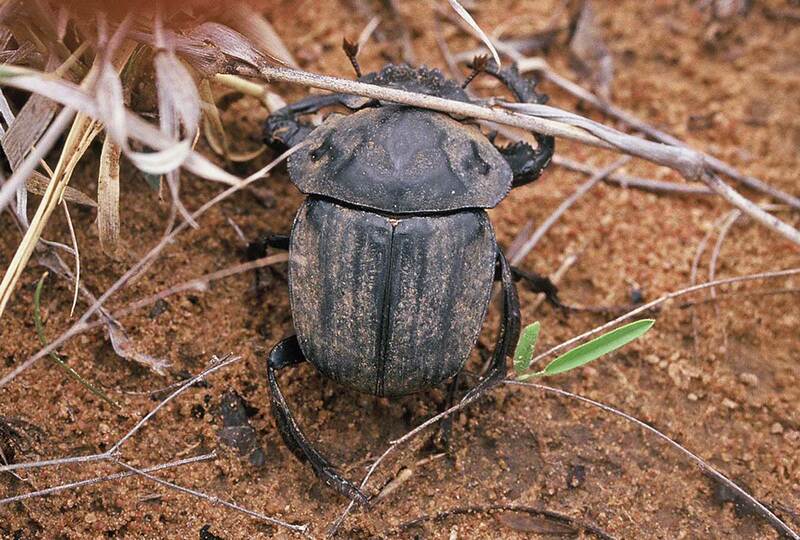 Good for him and us, but too bad for the dung beetles, perhaps!